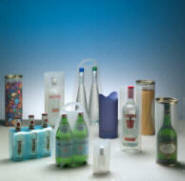 Experts in providing innovative packaging solutions to get you noticed! Sino-pack is a professional print and packaging sourcing solutions consultancy with over 10 years experience operating from our head office in Zhuhai, Southern China. Sino-pack are experts in sourcing, project managing and delivering quality led packaging solutions and our expertise spreads across all major areas of packaging and point of sale, including PP, PET, PE, paper and board. Our unique position in Asia allows us to work on your behalf and professionally represent your brand to source, quality manage and deliver products directly to Chinese manufacturing plants for filling, packing or distribution. Sino-pack’s reputation and experience has been built upon partnering with blue chip European organisations to supply premium packaging and POS solutions to a global audience. Our established network of production and packaging facilities across Asia gives our customers access to high quality packaging solutions that satisfy even the most complex brief, all at exceptionally competitive prices. Our experience and established position in the packaging/printing industries across Asia offers unique advantages to your supply chain and our professionalism and industry knowledge gives you priceless piece of mind and security. Contact us to see how we can help you. All our staff are bi lingual and fluent in English and with over 10 years packaging industry experience, we are sure to offer a knowledgeable and professional solution to your enquiry. Your Packaging, Is Our Passion!